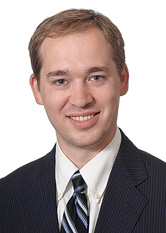 James Tracy's practice focuses on commercial litigation. Mr. Tracy regularly appears in both Federal and State courts in New York, and has extensive experience in all phases of litigation, including pleadings, document discovery, depositions, motion practice, trial, and judgment enforcement. He has also handled appeals before the New York State Court of Appeals, the Appellate Division of the New York Supreme Court, and the United States Court of Appeals for the Second Circuit. He has represented clients' interests before State and Federal administrative agencies, and has successfully obtained judicial review of contrary administrative decisions. Mr. Tracy has prosecuted or defended claims for breach of contract, specific performance of a transaction, breach of lease, conversion, fraud, corporate governance, and employment discrimination, representing clients of all sizes from a range of industries, including finance, real estate, insurance, entertainment, construction, transportation, higher education, nursing homes, and technology firms. In defending a class action suit against a corporate defendant and its officers, obtained dismissal of all claims against the officers and the claims for punitive damages and attorneys' fees as against all defendants. The remaining claim against the corporate defendant was subsequently settled for a very favorable amount. Prosecuted an action to clear title on a not-for-profit's real property to invalidate a lien claimed by the City of New York. Prior to the commencement of discovery, the City agreed to vacate the lien in exchange for a nominal settlement payment. While attending Georgetown University Law Center, Mr. Tracy worked as a Notes and Articles Editor for the Georgetown Journal of International Law. He is the co-author, with Honorable Gerald Lebovits, of "Cooperatives and Condominiums in the New York City Housing Court," which was published in the New York Real Property Law Journal.